You can delete unnecessary tool presets to keep your list organized. In the Tool Presets toolbar, click the Manage Tool Presets button. 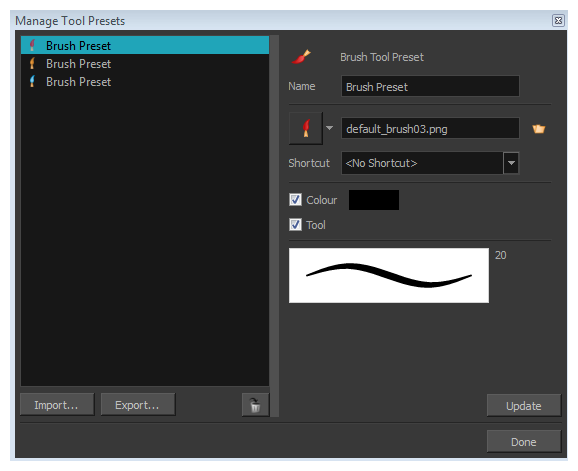 From the list of tool presets on the left, select a preset to delete and click the Trash icon.